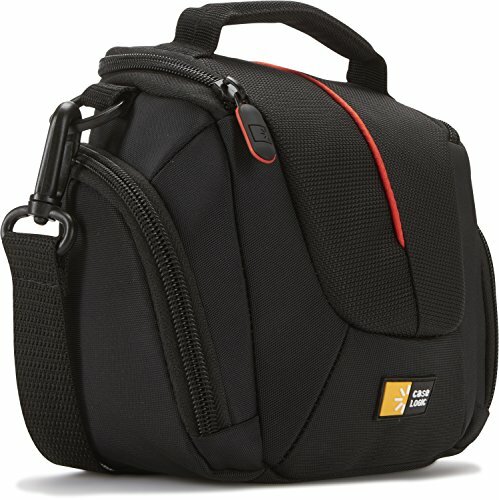 Accented with vibrant red detailing, this camera case is tailored to fit most high zoom digital cameras. 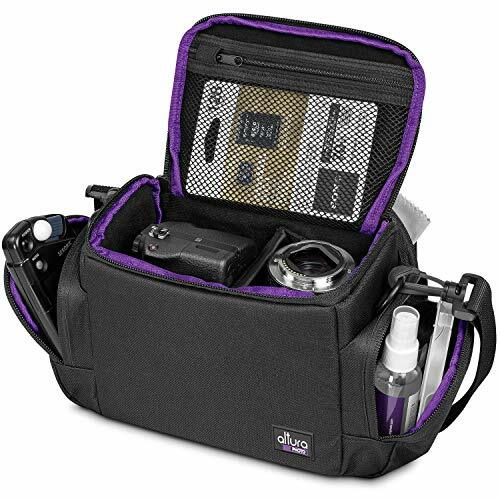 Carrying options include a convenient belt loop or detachable lanyard. Storage options provide a home for your cords and accessories. Fits Devices - 5.1 x 3.3 x 5.8 in , Material - Polyester, Warranty - 25 years. 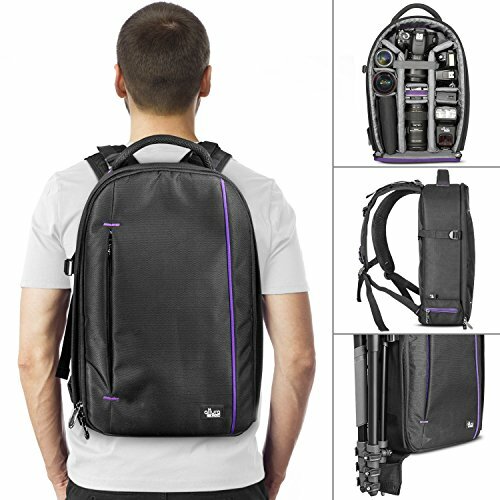 - Water-repellent 840D Nylon exterior protects your gear from the elements. - Customizable interior with removable foam padded inserts. 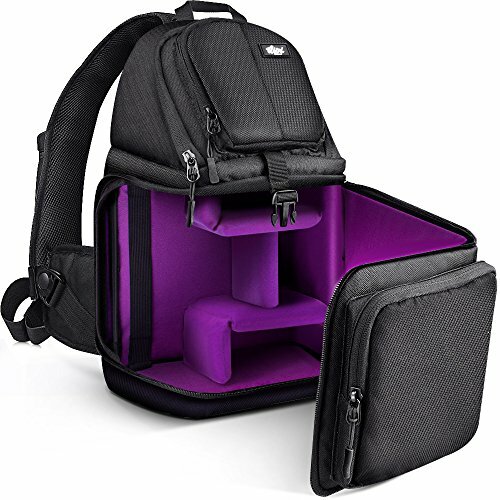 - Pocket inside the front flap fits most laptops or tablets up to 14-inches. 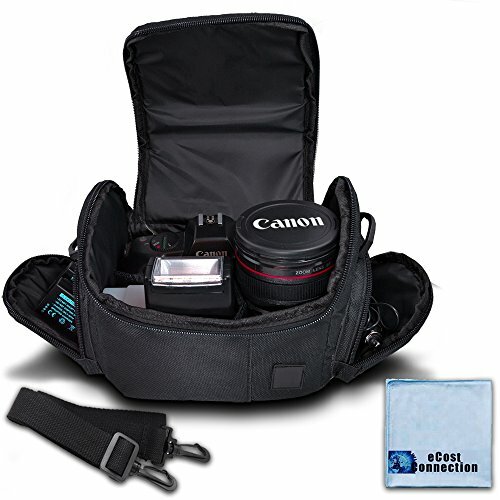 - Side attachment pocket folds with locking strap for transporting a monopod or tripod. Can be folded and secured to side panel with Velcro when not in use. 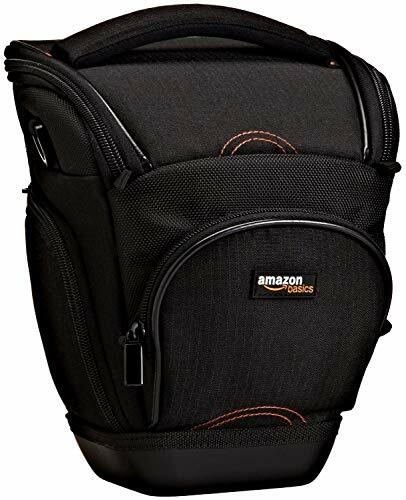 - Padded shoulder straps can be adjusted to your desired height. 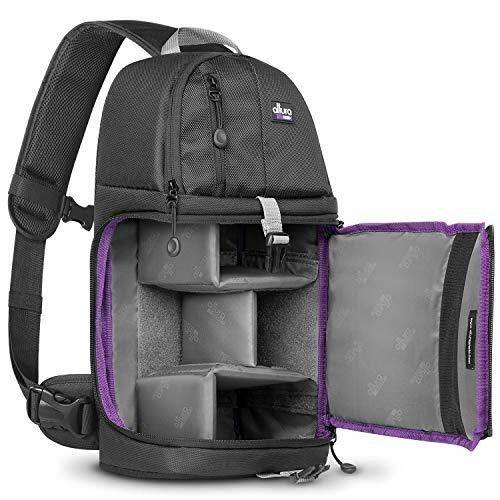 - Multiple accessory pockets for storing extra batteries, memory cards, accessories, and the essentials. - Reinforced stitching at stress points for long term durability. 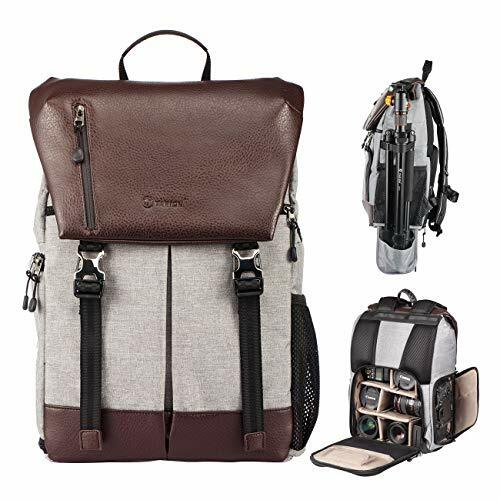 - The dual zipper sliders connect, and are compatible with standard luggage locks for added security. - Meets specs for TSA CARRY-ON. 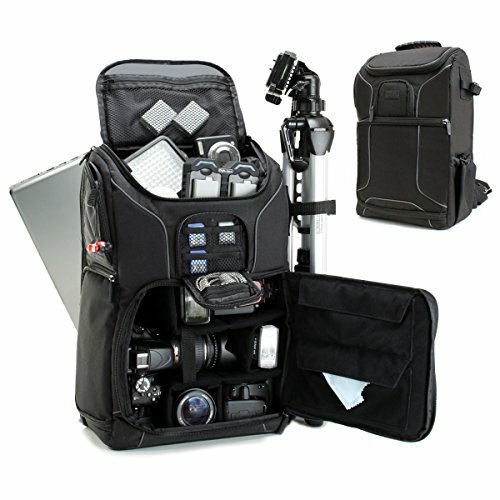 - Protects a DSLR or mirrorless camera with an attached lens, 4-5 extra lenses, and a dedicated flash. 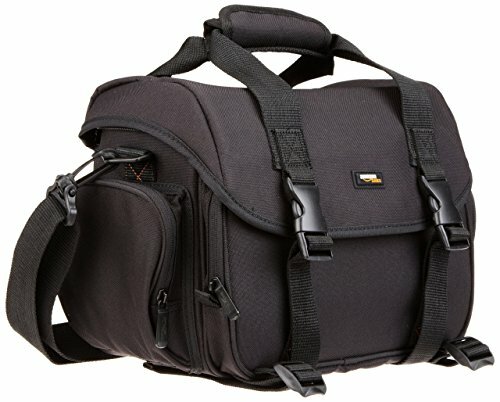 TAKE MORE WITH YOU: Stores and carries 1 DSLR with attached lens, 4-5 additional lenses, a shoe-mount flash, plus a tripod or monopod. Exterior Dimensions: 12 x 6.5 x 17 (LxWxH). 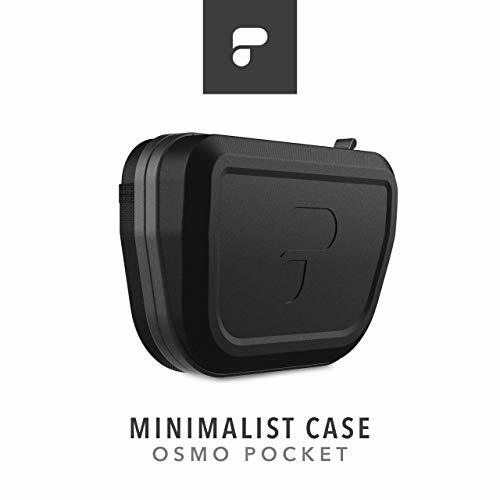 HIDDEN ANTI-THEFT POCKET - Safely store your valuables while in the outdoors or when you travel. 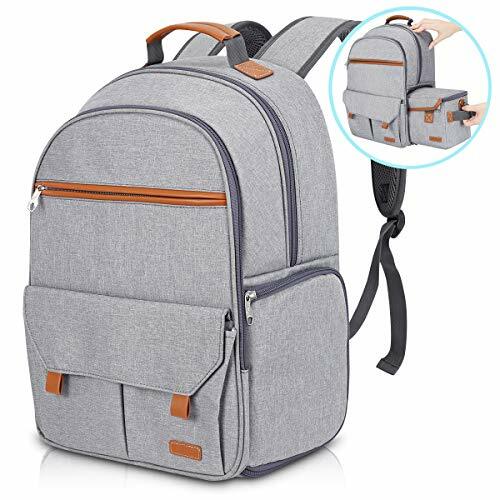 Easily access your phone in the DEDICATED PHONE POCKET on the shoulder strap. 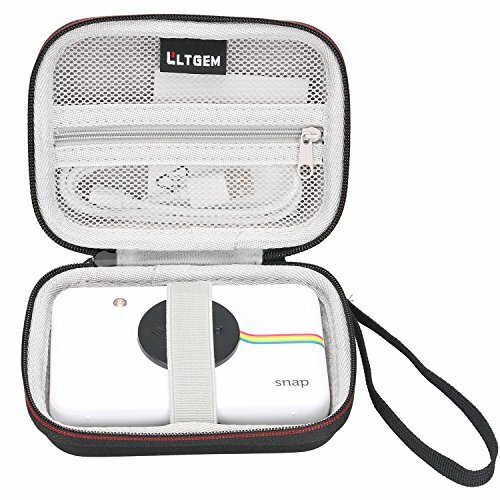 - Considerable Inner Design: Build-in super quality velvet which is an excellent buffer for your Polaroid Snap & Polaroid Snap Touch Instant Print Digital Camera! You deserve to own this case. It is a good partner for your trip and a good gift for your friend who also has a Polaroid Snap & Polaroid Snap Touch Instant Print Digital Camera. 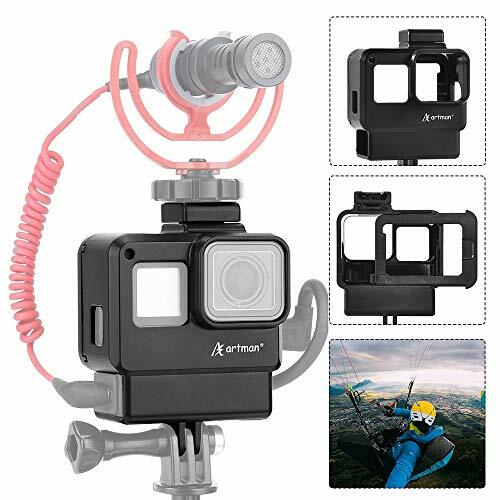 100% SAFE: Holding belt make the Camera fixed in the case, Hard quality EVA material is Semi-waterproof, Shockproof and Durable to protect Print Digital Camera from impacts and splashes. ON SALE: Backed by 100% Money back Guarantee, risk-free buy. Only a case ( The Camera is not included ) - CLICK the Orange button to Order Now! 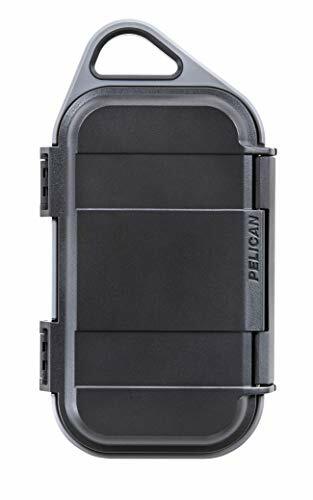 From small sensitive components to smartphones, protect your gear from the elements in a crushproof, watertight, & dustproof go case from Pelican. Dimensions - Interior 7 x 3. 5 x 1. 6 in. 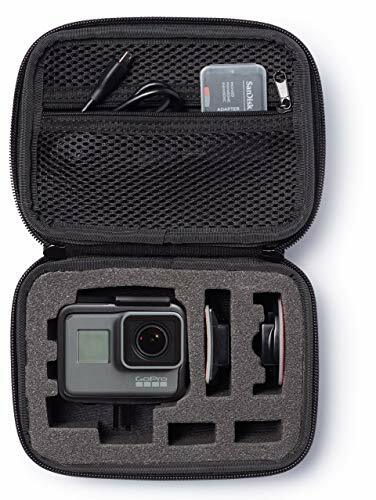 Protect a camera, handgun, electronic devices, or other sensitive equipment inside this rugged and durable hard sided case from Nanuk. 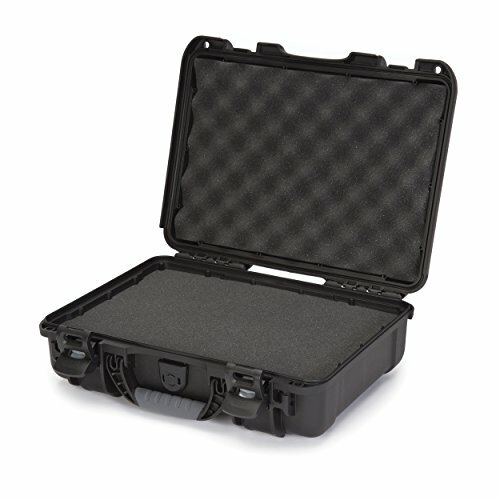 The Nanuk 910 case with 3 part foam insert is made from lightweight NK-7 resin material and features a crushproof, impact resistant, waterproof, dustproof, and buoyant design with a pad-lockable closure and a foam padded interior that offers incredible security and protection. This case is detailed with a high performance gasket, a molded-in bezel system, an automatic pressure release valve, integrated lid stay, and a Power Claw latching system. 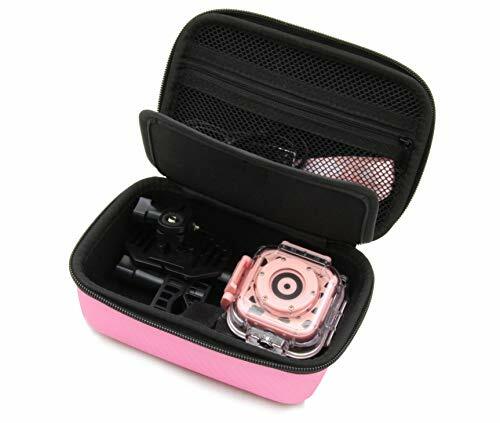 Perfect for at home or on the go Storage, This case can withstand temperatures from minus 20 to 140 degrees Fahrenheit. Brand: Nanuk | Manufacturer: Plasticase, Inc. The Battery Holster from OP/TECH USA is an ideal accessory for keeping an extra battery handy when shooting in the field. 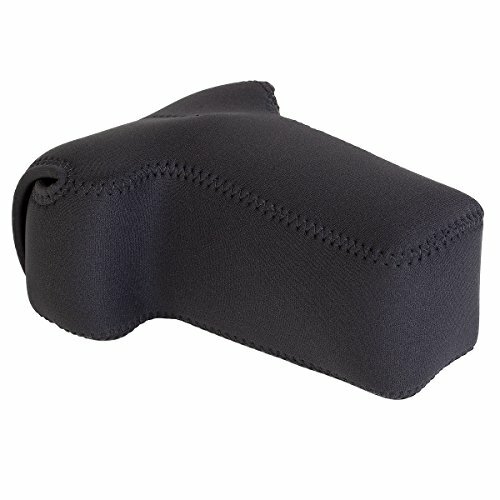 The soft, durable neoprene pouch slides onto your camera strap and is held conveniently and securely in place with a touch fastener. 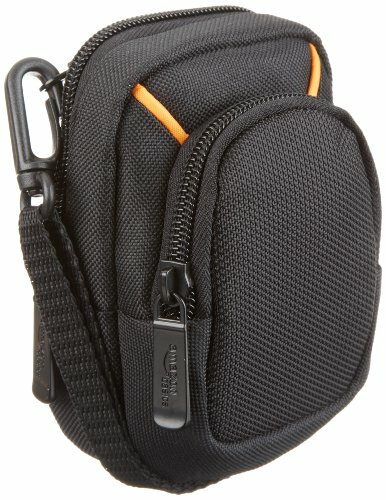 No need to fumble around in a camera case or backpack! 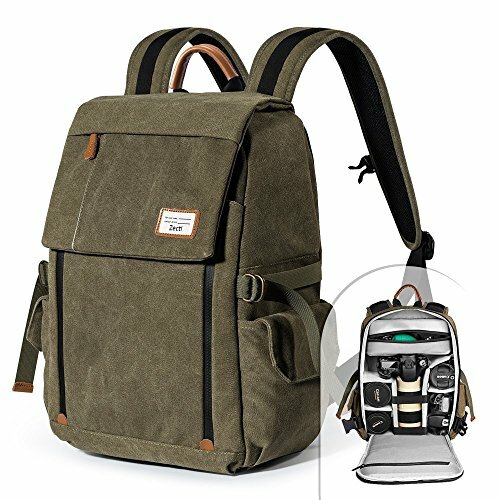 The full-flap closure holds the battery or other small accessory securely in place yet opens easily for quick, easy access. The closed-cell construction of the neoprene keeps out moisture and dust while providing cushioning protection against impact. The added "bumper guard" created by the Lycra binding adds even more protection along the edges. Keeping an extra battery ready at a moment's notice is easy with the Battery Holster you won't ever miss another shot because of a weak battery. 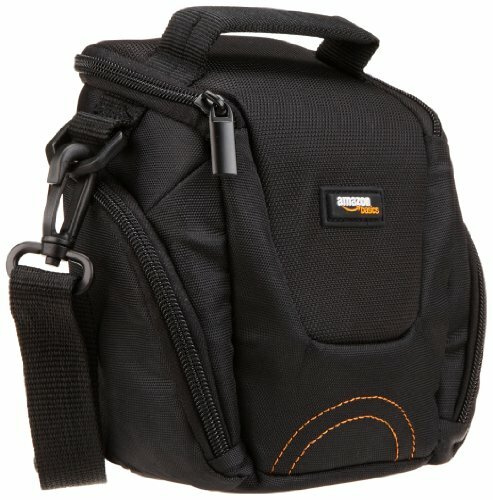 It conveniently holds standard SLR batteries, AA batteries and others so you have the versatility to use it for all kinds of equipment. 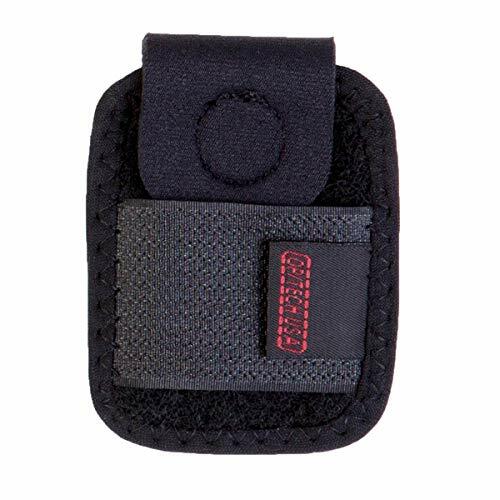 Proudly made in the USA, the Battery Holster is the perfect companion for OP/TECH USA's weight reduction straps and Soft Pouch - Digital-D Series protective camera cases.